I am the type of person who breaks out immediately if I stop my beauty routine – even for ONE DAY. I have THE MOST SENSITIVE SKIN and that is not a joke. When I was in High School, my friend would take a dab of cocoa butter, tap it on my face and then count down the seconds until a hive would pop up. Yes – it’s that severe. Because of my sensitivity, I have suffered through a lifetime of skincare issues and have started a love affair with lotions and potions. I guess that’s why a vast majority of my blog is dedicated to beauty (and fashion). It’s just part of my life. While it’s great to buy the celebrity favorites, you don’t always have to break the bank. 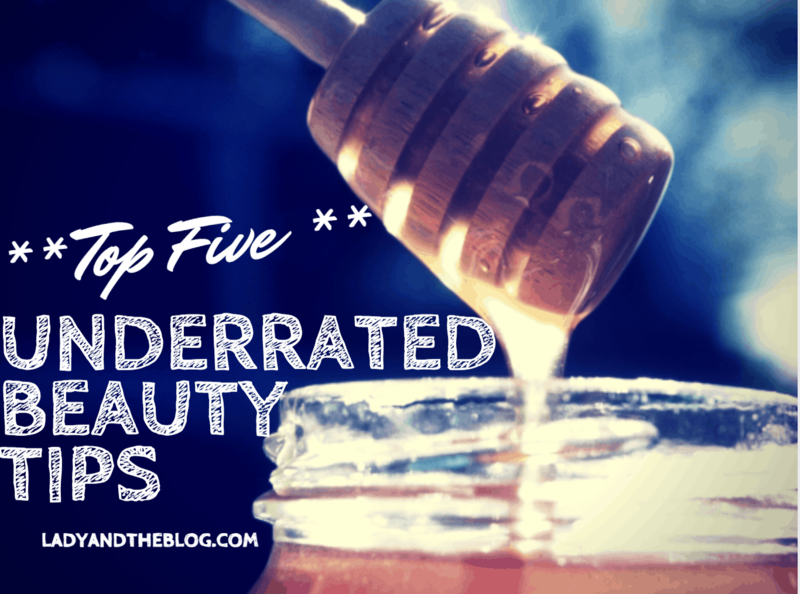 I have 5 great beauty tips to share that I know will work for you and your skin type. It all starts with what you put INSIDE your body. I’m talking about the amount of water you drink AND the snacks / meals you consume. Think about it. How much takeout food do you eat in a week? All that excess salt and grease and… ICK will wreak havoc on your skin. Here’s a perfect example. A few months ago, I found out that I had a sensitivity to sulfites. There’s a huge list of products that include sulfites – one of which is soy sauce (found primarily in one of my favorite cuisines – Chinese Food). It took me about two months worth of clean eating to rid myself of the build-up I had in my body of sulfites and for all the hives to disappear. Once I was clear, I decided to give takeout a try. I broke out all over my face the very next day. Can you imagine? You don’t really think about how impactful your dinner can be on your forehead. We are so worried about our waistline – but it really affects so much more! Same thing goes for vitamins. Are you taking any? 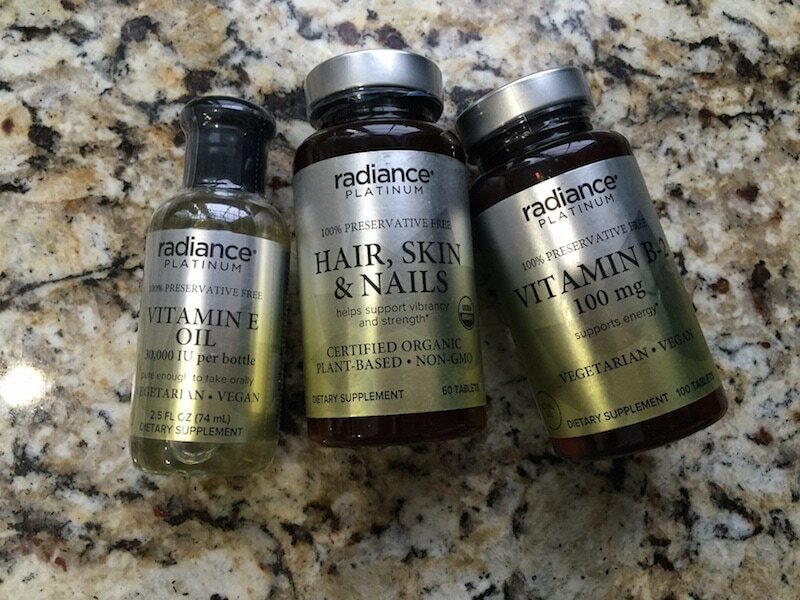 CVS sells the Radiance Platinum line and they have a Hair, Skin and Nails formula that will do nothing but benefit your entire body. It is also 100% preservative-free which is SUPER important for me and for anyone who is looking to live a cleaner life. You have to take the vitamin with a meal and I make it my business to do so every single day. My hair has thinned out since baby number three and these vitamins are giving me the nutrients I need to grow stronger and more luscious locks. I mean… why wouldn’t I do that?! 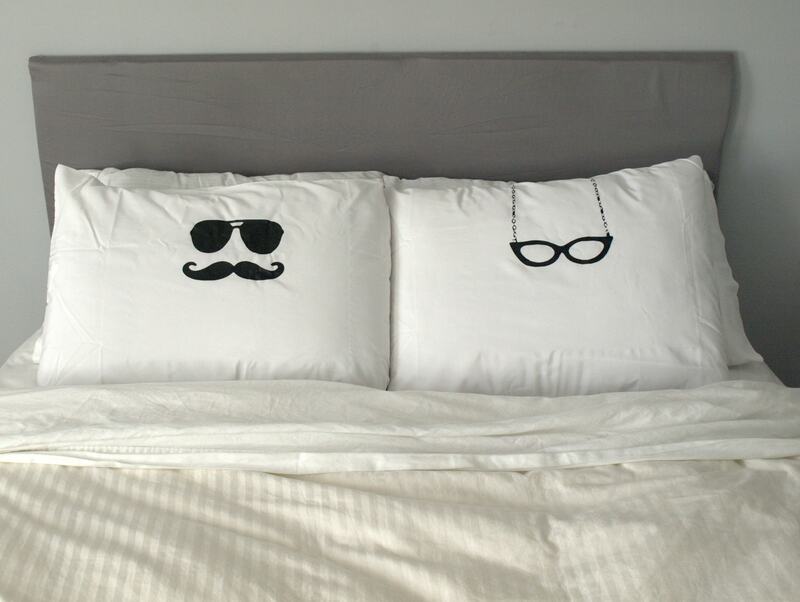 You go to sleep with dirty hair. We all do it. Come on. There’s no shocker here. But think about it — we toss and we turn around ALL NIGHT. Basically, that means we are marinading in dirty hair and oil from our face. It’s not a pretty picture. You shouldn’t let that sit for more than a week. Do not go to sleep with your makeup on. Let me repeat that. Do NOT go to sleep with your makeup on. Take it off. What do I do? I leave some makeup remover wipes on my bedside table so I KNOW that if I am too lazy to get up and do a proper wash at the sink, I can at least give my face a good wipe before I pass out at night. And let’s talk about face serums for a minute. Here’s a really affordable solution to buying those high-end fancy versions that most spas offer. Why am I telling you this? Because I got suckered into a $150 bottle of Vitamin E oil while on a cruise and I haven’t let it go for YEARS. I wake up in cold sweats and still get angry on occasion. How did that aesthetician get me?? I know so much! She had me too relaxed. Ugh. 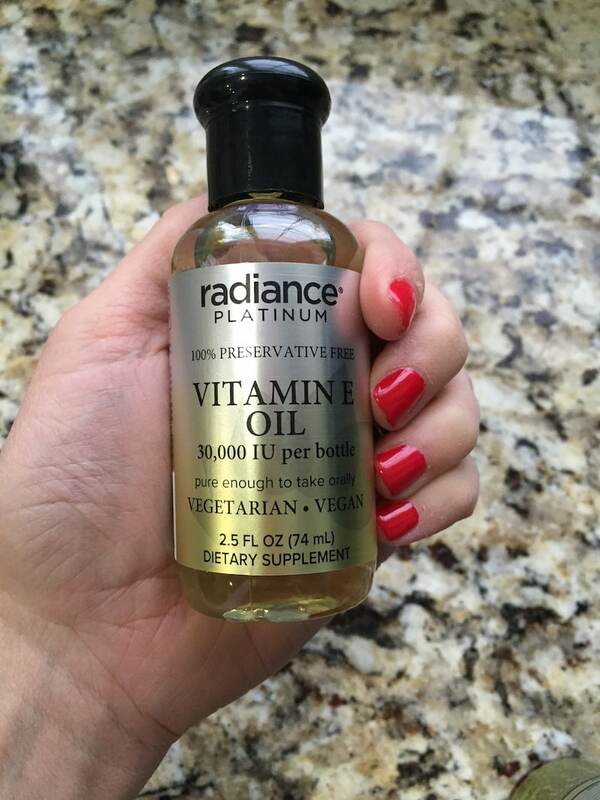 CVS Radiance Platinum sells Vitamin E Oil that you can put on your face as a serum (I do it every single night and sometimes before I put my daily moisturizer on if I need it) AND you can ingest it (they recommend 5 drops a day). You have two options with this oil — I suggest you do both. Your skin needs different things during different times of the year. And guess what? Your skin can also grow out a product if you use it for too long. I have to change my shampoo and conditioner every other bottle because otherwise, I notice a build up. Same thing goes for my exfoliator. My skin pretty much gets tired of the same old thing and products tend to lose their WOW factor if you use them over and over and over again. Don’t be afraid to switch things up and then return to your tried and true favorites. Trust me! You will see a difference in the long run. Do you have any beauty tips that you think people are overlooking? Would love to hear your thoughts!